Want a FREE box of Girl Scout Cookies? 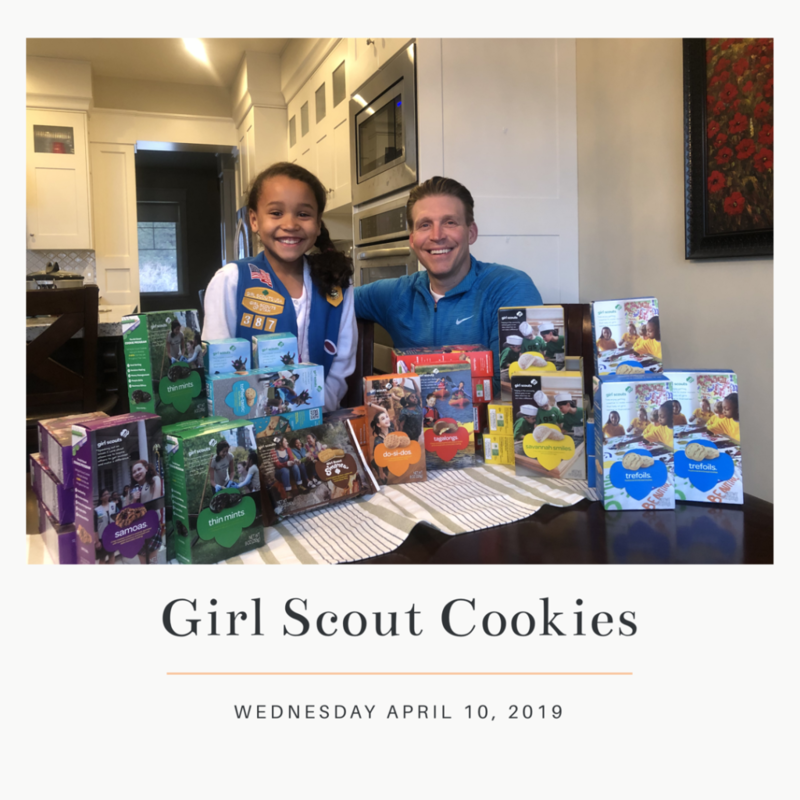 All scheduled appointments Wednesday April 10th will get a box of girl scout cookies!! 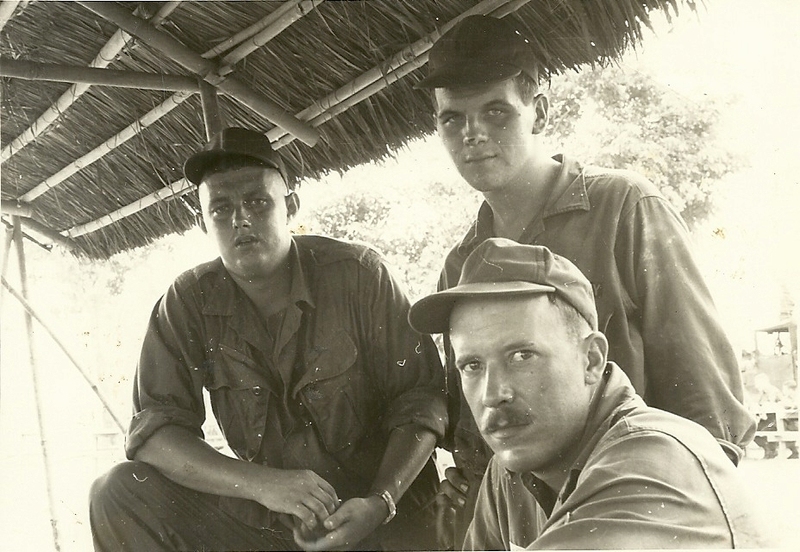 This photo was take in Vietnam about 1966. Robert Jones “Uncle Bob” is shown bottom right. We do not know who is pictured with him. March 29th is National Vietnam Veterans Day. In my office I am grateful for the opportunity to treat many of our veterans. I enjoy talking with them and hearing their stories. I have been impressed with the Veterans Administration who are embracing alternative medicine for pain management and healing. My Uncle Bob was drafted immediately after graduating from BYU in accounting. In fact, he wasn’t able to walk with his class because he would be in California in basic training. 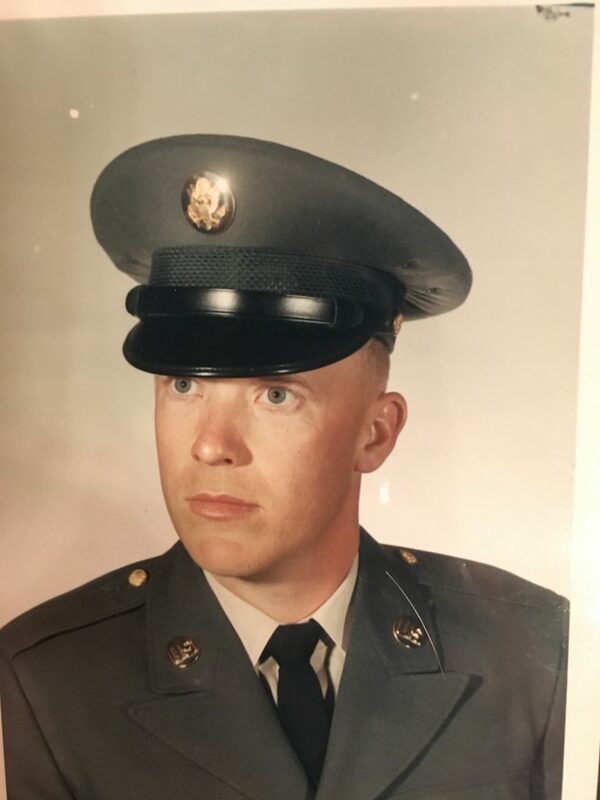 He served for only a few years in Vietnam but the effects of his service would be life long. He suffered from PTSD and later developed a cancer that was probably caused from Agent Orange as well as developing dementia. I was able to provide him with a weekly appointment in my office for many years. Through chiropractic and acupuncture, we were able to help manage his pain. We have had personal experience with the VA hospital and doctor visits while being a care giver for Uncle Bob. We have had frustrations with long waits, miscommunications, and the parking garage being under construction for years. But we also had many great experiences with wonderful doctors, home health nurses, and case management workers. Overall we had a great experience with the VA and were so blessed that he was being cared for during the last part of his life for his service those many years ago. Many of the veterans that I treat deal with the same kind of frustrations but our office strives to make the process of being treated as easy as possible. It’s not just the veterans of the Vietnam war that are able to be treated in our office. We have veterans from the Gulf War, Iraq, and Afghanistan wars. I’m grateful for their service and feel honored to be able to help them in their healthcare needs. I’m also grateful that the Veterans Administration has created a program that allows the Veterans to be treated in outside offices closer to their homes. I have much respect for those who gave their life and those whose lives are forever affected due to their service. How many people do you know that have an addiction or died from a pharmaceutical overdose? If you don’t, the odds are that you will or are unaware of the addiction. This year our daughter got her wisdom teeth removed. 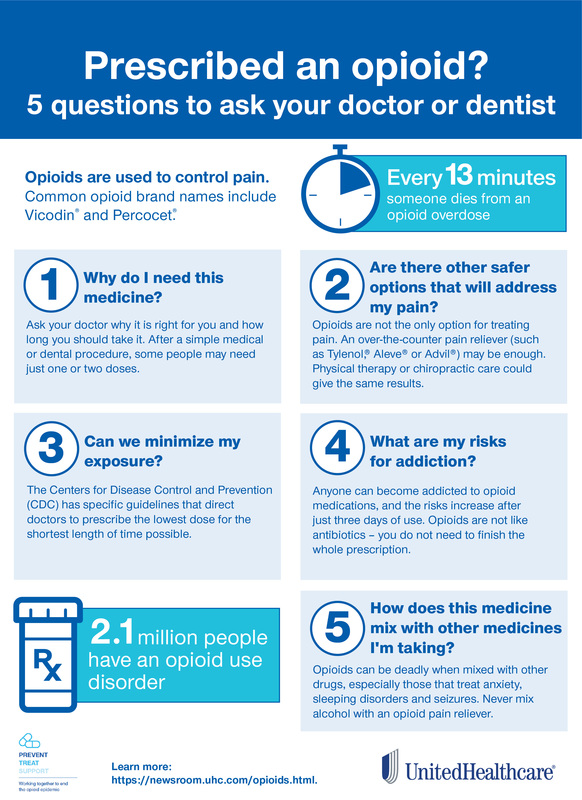 When my daughter and wife were leaving, the staff giving home care instructions included a prescription for an opioid type pain medicine. My wife said we would not need it because we would do ibuprofen alternating with Tylenol. They were very persuasive that she needs this type of pain med because the pain will prevent her from healing. So my wife and daughter left with a prescription for 5 opioid pain pills. We have been blesses with information from other families who have expressed that their child’s addiction began with wisdom teeth removal. So we managed our daughters pain with alternating Tylenol and ibuprofen along with ice packs and cold foods. We set our alarm throughout the night so that we didn’t let our time laps the 3 hour increments. We were able to successful keep her 4 impacted wisdom teeth, swollen chipmunk cheeks, and black eyes from pain without the use of an opioid. I know that there are times and surgeries when these types of pain meds are useful and necessary. But ask yourself these 5 questions first . If you find they are required, use a chart to document how much you are taking, have a loved one administer them to you for accountability, then replace with a non-addictive alternative as soon as possible. Phu Vietnamese Restaurants are some of my favorite healthy eats. I love the fresh vegetables and the lean protein. My wife started making it at home and it is just as good. But here is the best part. Left overs are even better and your food will taste just as fresh by storing your broth, vegetables and garnishes all separate. 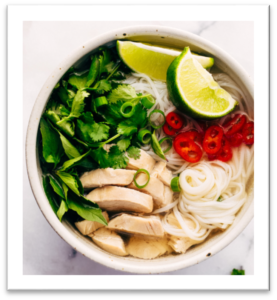 Then when you are ready for a quick dinner heat up your broth, noodles, meat and add your fresh veggies, dinner or lunch is done. You can heat up one bowl at a time for yourself or the whole pot to serve a crowd. Take your meat that you have already cooked. This can be baked, BBQ, roasted it does not matter. Chop it up into bite size strips. Chop up all of your vegetable. You can keep them separate or dump them all together in one big bowl. Get creative and make it colorful. Use your favorite veggies and use up what you have in your fridge. There is no wrong here. Make your broth using your choice of chicken broth. We use the broth in the carton for convenience. Then we add chopped purple onions, garlic, salt and pepper & ginger. The trick is not to over cook your broth because the flavor will become more bland and loose nutrition value. If you choose to add cabbage or bok choy or mushrooms we add it to the broth and cook it unlike the other veggies. Cook Rice noodles following directions on the package. If you have never cooked rice noodles before, your going to love how fast they cook and are light and delicious. Dish up your bowl by adding your freshly chopped veggies, & protein, then add your hot broth (with cabbage) overtop. Garnish with cilantro, green onion and fresh lime. We also like to add a bit of chili sauce like Sriracha. Garnish with green onion lime, cilantro & chili sauce. This recipe can be easily modified. Enjoy! In our home margarine is not found, you will however find real butter. Today we are so obsessed with weight loss that we often throw good nutrition out the window. Recently I read an article in the June 2017 National Geographic titled “Pandora’s Lab”. This article is an excerpt from the book Pandora’s Lab written by medical historian Paul A. Offit, M.D. The Article is one of seven cautionary tales from the book. This one particular tale focuses on the breakthrough invention of margarine with the opening quote from the Author Paul Offit “How does a scientific breakthrough become a scourge of humanity? As easily as margarine supplanted butter—and introduced dangerous trans fats. 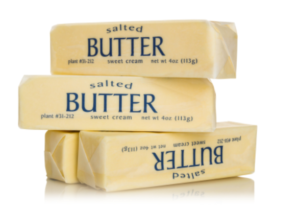 Even the most promising innovations can have unintended, sometimes lethal, consequences.” I want to share with you this article that answers which is better butter or margarine. Margarine was first made in 1869 by a French chemist for Napoleon III of France to feed his army because it was cheaper then butter. It was made by taking unsaturated vegetable oil and chemically adding hydrogen a process called hydrogenation. Resulting in a product called “partially hydrogenated vegetable oil” with large quantities of trans fats, not found in nature. I won’t get into the chemistry of the differences between saturated fats, unsaturated fat, trans-unsaturated fats, and cis-unsaturated fats. But I will quickly say both saturated and some unsaturated fats are healthy while trans fats found in partially hydrogenated vegetable oil are dangerous. In the 1960s there were several people, including doctors and scientist, who argued that the reason Americans were having health issues like atherosclerosis and heart disease had to do with cholesterol and fats. There were many committees with the U.S. federal government that wanted to clarify the scientific data between fat consumption and human health. “The problem was that most of the policies were conceived by political activists with no training or expertise in nutrition … The USDA recommendations were clear, even if the data wasn’t. Restriction of dietary fat became government policy.” says Offit. This led to a margarine boom. Government agencies in the 1980s started attacking saturated fats (butter, lard, coconut oil, palm oil, dairy, animal fats) as heart unhealthy. Americans were told to replace saturated fats with unsaturated fats. They were told to eat margarine instead of butter because it is heart healthy. Due to the misinformation and many other factors, by the 1980s, partially hydrogenated vegetable oils were popular for baking and frying and saturated fats were vilified. 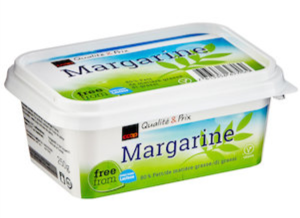 Suddenly margarine, which contains 25 percent trans fats, became the “healthy alternative”. In 1911 the average American ate 19 lbs. of butter to only 1 lb. of margarine per year. By 1957 Americans were eating 8.5 lbs. of margarine a year, about the same as butter. By 1976 margarine consumption had increased to 12 lbs. a year. Despite the switch from butter to margarine, the incidence of heart disease in the U.S. continued to rise. Even though continued studies showed that there was no relationship between dietary fat and heart disease. In 1981 a group of Welsh researchers published a paper linking trans fats to heart disease. There were many more studies that followed all showing how decreasing trans fat would lessen the risk of heart disease. One Harvard School of Public Health estimated that 250,000 heart attacks and related deaths every year could be prevented by eliminating trans fat from the American diet. Studies during this time were showing that trans fat dramatically increase “bad” VLDP, the worst kind of cholesterol, and decrease “good” HDL, the helpful cholesterol. It is said that trans fats appear to increase the risk of coronary heart disease more than any other macronutrient. It wasn’t until 2006 that the FDA finally implemented its plan that required manufacturers of foods to list the quantity of trans fats on the nutrition label. So what can we take from this article? Many of the guidelines that we have been told, have more to do with ill-guided studies and special interest groups than what is truly good for our bodies. In this example, the American people were told that margarine was the heart–healthy alternative to butter when it was exactly the opposite. Making even small adjustments to the foods you eat can make big changes to your health. Whole foods, meaning ingredients you can say and know where they come from, are always the simplest answer. Credit to National Geographic issue June 2017 “Pandora’s Box” as well as to “Pandora’s Lab: Seven Stories of Science Gone Wrong” written by Paul A. Offit, M.D. 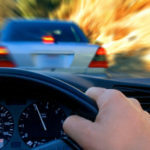 What you need to know after an auto accident. In the past few weeks we have seen an increase of auto accidents in our office. I know myself, that after a car accident comes the stress of dealing with the insurance company, being without a car, and often hurting. If you are like many, your health will take a backseat to getting your car fixed. I often hear “I thought the pain would go away.” Well the problem with that is it may not go away, and if it does what problems will it cause in the future? If you or someone you know has been injured in an auto accident tell them about our FREE Injury Evaluation 801-569-1141. Help prevent auto accidents by avoiding distractions, drive the speed for the current weather conditions, and wear your seat belt. Drive Safely!